Physical therapy offers patients one of the most effective ways to improve range of motion and flexibility whether coming back from an injury, healing after surgery or managing a condition like arthritis. It provides therapeutic exercises targeted to the needs of each patient. 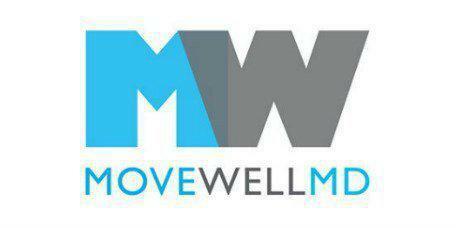 At Move Well MD in lower Manhattan, New York and New York's financial district, patients can find that path back to good health with comprehensive treatment plans that include physical therapy. Physical therapy is one of the most common therapeutic processes because it works in a wide variety of situations. Someone recovering from a heart attack, for example, may use physical therapy to help become strong enough for regular exercise. It is also a go-to intervention after a fracture or joint replacement surgery. The therapists at Move Well MD work with patients to improve their flexibility so they can manage everyday tasks. Better mobility will improve fitness levels and help reduce pain at the same time. They also use first aid techniques like ice and heat to reduce inflammation before and after exercise. What kinds of patients need physical therapy? Physical therapy is one piece of a care plan designed to improve mobility and restore health. What should patients expect from physical therapy at Move Well MD? It starts with the Move Well MD therapist doing an examination to get a feel for the patient's mobility challenges and to discuss symptoms. From there, they establish goals based on the information provided to them, the exam and the patient's expectations. The first step is almost always to manage the pain and any inflammation that is affecting movement. Physical therapy does involve exercise too. It starts at the practice with the therapist helping joints move or providing support as the patient does basic stretches. Over time, as they become stronger, the routine will expand to provide more challenges. Patient education is a big part of physical therapy, so the patient learns how to move without aggravating an injury.